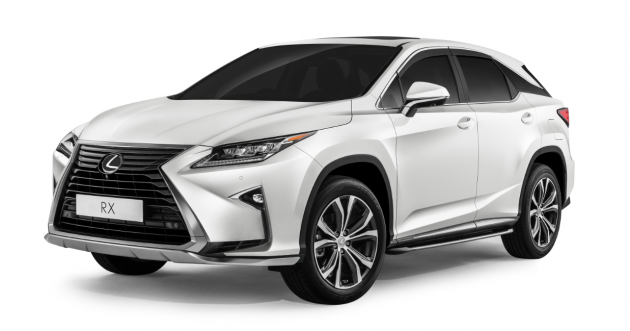 Lexus Malaysia, a division of UMW Toyota Motor Sdn Bhd, the authorised importers and distributors of Lexus and Toyota vehicles in Malaysia, announces the availability of a new variant the popular RX300 model. This Special Edition shares the specifications and equipment of the RX300 Luxury variant but has additional accessories. Priced from RM434,000, inclusive of SST (approximately RM10,000 more than the RX300 Luxury variant), the RX300 Special Edition has Lexus-genuine accessories which enhance its external appearance as well as provide additional functionality for motoring enjoyment. At the front end is an additional underbody panel which provides protection from stones and other objects thrown up from the road while along the sides are body mouldings which not only give enhancement to the looks but also add elegance. 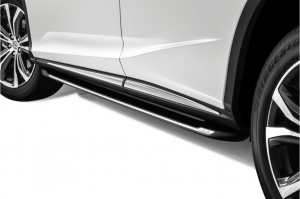 The lower side mouldings are integrated with the new one-piece side steps on either side. These steps run along the bottom of the front and rear doors, providing easier movement in an out of the RX300, especially for small children and elderly people. Custom-designed visors have been installed on the tops of the windows to prevent rainwater from entering the cabin if the glass is wound down slightly. They are shaped to have minimal effect on airflow while allowing the glass to be lowered, if desired, even when there is rain. 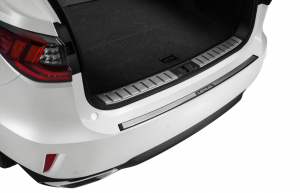 Those who frequently use the rear cargo space will appreciate the step guard which is installed near the lower edge of the rear door opening. Covering almost the full width of the opening, it provides protection for the upper part of the rear bumper so it will not be scratched or stained when loading or unloading cargo. The Lexus philosophy is all about hospitality and this is reflected in the Welcome Door Lamp which comes on whenever the doors are opened. The lamp illuminates the area near the door so that puddles of water or potholes can be seen and avoided. 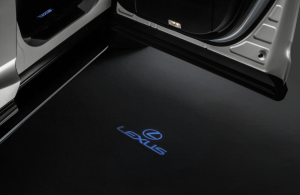 Additionally, this feature also adds a touch of class with the projection of the Lexus logo on the ground. Two other accessories included in the RX300 Special Edition are the Touch ’n Go reader/transmitter and a Digital Video Recorder (DVR). The Touch ’n Go device is compatible with Touch ’n Go tollcards and can be used for passage through the SMART TAG lanes at toll plazas nationwide. 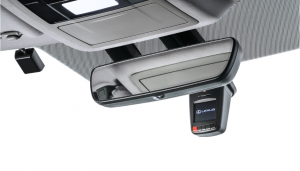 It offers a neater solution for electronic payment of toll and can be installed inside the cabin. The DVR is a familiar accessory in many cars nowadays, providing motorists with a way to provide visual evidence in the event of an accident. 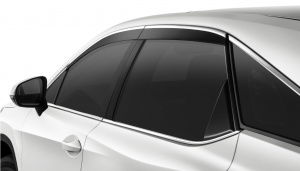 Unlike the third-party accessories which are usually stuck on the windscreen, the one for the RX300 Special Edition is installed securely behind the rearview mirror. All the accessories which come with the RX300 Special Edition are Lexus genuine accessories and meet the same high standards of quality and reliability as the rest of the vehicle. All accessory installation is done by professionally trained personnel at UMW Toyota Motor’s own Accessories Centre in Bukit Raja, Selangor. 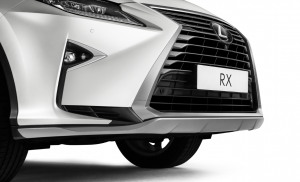 The RX model line currently on sale is the fourth generation of one of the most successful models of the brand. Six variants are available from Lexus Malaysia, with the RX300 Special Edition being the seventh. All RX300 variants are powered by a turbocharged 2.0-litre 4-cylinder petrol engine (8AR-FTS) which produces 235 ps with 350 Nm of torque. A 6-speed Super Electronically Controlled Transaxle (6 ECT) automatic transmission is standard along with all-wheel drive transmission. As with all new models sold by Lexus Malaysia, there is a comprehensive factory warranty of 5 years/Unlimited mileage (whichever comes first after original registration). Complete aftersales support is available at 7 locations in Malaysia (including one in Kuching, Sarawak) where there are professional technicians who have been extensively trained to look after Lexus vehicles.